Other number 0186 Label on rear of object, called a "Casting Number." Handwritten on white label on front is, "Data #2." 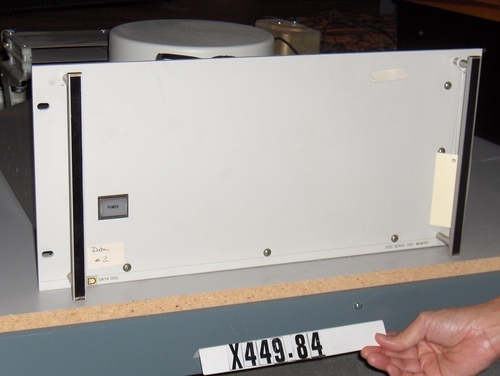 Printed on front of object is, "DATA DISC" (left side) and "7200 SERIES DISC MEMORY" (right side). Handwritten in pencil on top in two places is, "4."